I am an only child born to a mother who has nine siblings and one live-in cousin and a father with three siblings. So I have many cousins but no siblings of my own. As my parents loved to travel, my father took jobs that led him across the world to places far from the tiny island of Sri Lanka where we are from. Bali, Indonesia, Singapore, Iraq and Hong Kong were some of the countries he chose to make his way to. Being an only child, I was highly portable and grew accustomed to switching countries every few years. In fact I was as excited to see new places and people as my parents were, perhaps because I knew no other way of life. By the time I graduated from high school, I had attended eight schools in three countries and was none the worse for it. I have friends in all the countries I lived in, some of whom I’ve kept in touch with even in adulthood. After that we lived in Sri Lanka for an extended period of time while I went to architectural college. It was good to be home, in my own country, but it’s hard to be a complete native when you’ve lived away for so long. 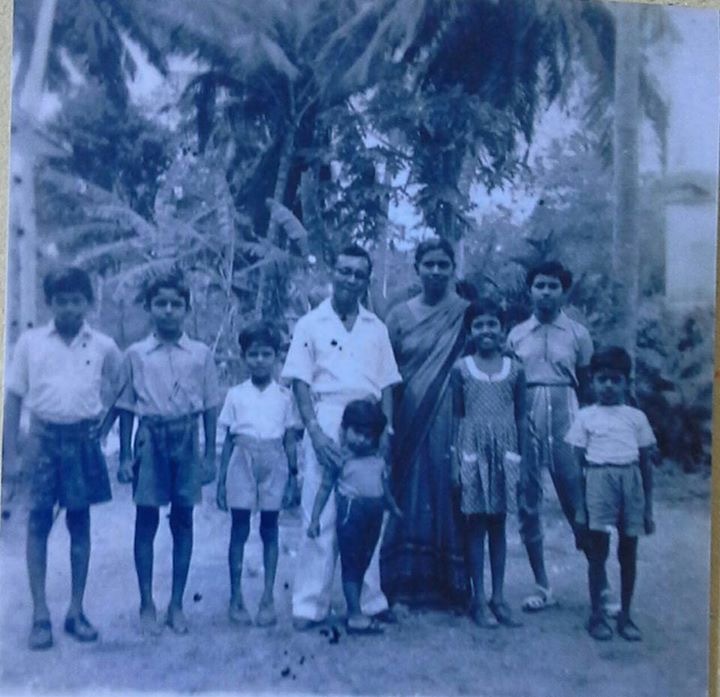 My parents were older now and fully settled to life and work in Sri Lanka. But I was still restless. Sometimes while walking on the street or listening to a lecture at college my mind would wander off. Or when reading a favourite book about foreign places, I’d get a crazy urge to just be off somewhere again. Anywhere, it didn’t really matter; it was the journey that counted for me. My friends didn’t seem to share this need. They talked of shopping holidays in Bangkok or Singapore but few expressed the need to just get on a plane and go to a place they’d never been before. The draw of the new destinations has always reached out to me. Halfway through architecture school, I met someone and fell in love. He had never set foot outside of the country. I found this strange and unimaginable, to have never ever seen another country. Soon after our wedding I took him with me to India for a month on a travel scholarship that I won. This was my way of initiating him into my love of travelling. He seemed to like it! On our return, we settled into a sort of young married couple’s work and home life routine for a few years. Life was busy but good. I had no reason to complain. I designed a house for us and we built it next to my parents’ home in a coastal Colombo neighbourhood. Still I was restless. I wanted to live in another country again not just travel on brief holidays. I googled Canada, the United Kingdom and Australia, wondering what it would be like to live in each of these places. One day I came across a newspaper announcement about government-funded scholarships for tertiary students. One of the categories was for journalism, my second line of study apart from architecture. It would have been my first choice of study if my mother had not insisted that I study architecture as a more secure career option. I was freelancing as a magazine writer at the time and had also just finished a diploma in journalism externally through a British college. I applied for the scholarship and got called up for interview and was eventually selected as the journalism category winner for 2004. The scholarship provided a basic allowance for postgraduate study at a foreign university. To say I was happy would be an understatement. I applied to universities in Britain and Australia and was accepted by Manchester University in the United Kingdom and Deakin University in Melbourne, Australia. The scholarship only provided US$7000.00, enough for about one semester and certainly not for living expenses. After tossing up all the costs my husband and I would have to foot, we decided on Australia as the most feasible option. My husband’s family was aghast. None of them had ever lived outside Sri Lanka and I was taking their youngest son halfway across the world? Luckily for me my husband is as happy-go-lucky and adventurous as I am. We were both in our mid twenties and didn’t worry much about how we were going to make ends meet once we arrived in Melbourne. My father used his overseas contacts to find a friend of his who would provide us a place to live at a very nominal rent till we got on our feet. How naïve we were! If we had known the difficulties we would face getting jobs and simply surviving from day-to-day in Melbourne we would have given up the idea immediately. Our youth, optimism and ignorance served us well. Sometimes not seeing the entire mountain at once helps you to climb it better. So in February 2005 we arrived as international students in Melbourne, armed with only some basic supplies and a copy of the Lonely Planet guide to Australia. This I’d already read back-to-back and highlighted places I wanted to visit in Melbourne and Victoria state before arriving in the country. 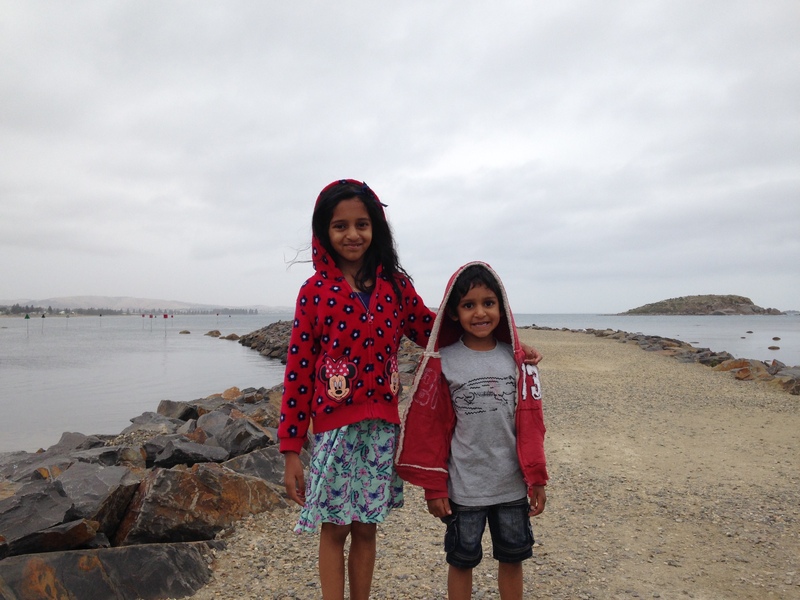 We owe so much to my father’s friends: the kind Sri Lankan family who received us at Tullamarine airport, took us under their wing and helped us set up life in Melbourne over the next few weeks. I only hope that I can one day be as generous and gracious with my time and resources to some lonely newcomer as they were to us. So began our new life in Australia. I settled into my Masters degree studies at Deakin and my husband took on a job at a door-manufacturing factory to support us. If he had complained and said he wanted to go back to Sri Lanka I would have dropped everything and left. But he never complained even though the job he had back home was a comfortable executive role. I did well at university. I loved my studies and was in my element. Eventually I found a part-time job at a call centre that helped pay the bills and allowed me to keep up with my studies as well. Then I focused on helping my husband to find a better job. I scoured job ads and sent off applications for him. Finally he landed a role with a Sri Lankan furniture company that was setting up shop in Melbourne. Life is strange that way. Back home in Sri Lanka, our families were expecting us to return by 2007 when my master’s degree was completed. This Australian life was supposed to only be a temporary thing. But one of my mother’s five brothers lived in Sydney and he advised me to apply for Australian permanent residency if I was eligible. It turned out I was so we put in application even though we still weren’t entirely convinced that we wanted to live here. I finished my degree and began undertaking freelance writing work while holding down my regular call centre job. We eventually got our residency approval and I got pregnant and we had our first child. Then, when our daughter was eight months we moved once again this time, from Melbourne to Adelaide in South Australia. This move was for my husband’s job, as his company wanted him to set up their new retail stores in South Australia. Our Melbourne friends were shocked when we said we were moving from vibrant, sophisticated Melbourne to Adelaide considered a backwater town by the average Victorian. This didn’t deter us. Having moved countries so many times in my life, I thought nothing of moving mere states! As always I was just excited by the thought of a new city and a new adventure. My husband went to South Australia ahead of me to set up the new stores. The baby and I remained in Melbourne to finish packing up. I searched online for a decent neighbourhood to rent accommodation in Adelaide. I knew nothing about South Australia but I found a reasonably priced modern apartment in a suburb called Burnside. The main draw card for me was the fact that it seemed to be right next to a fabulous shopping centre. A girl’s got to have a bit of bling especially when looking after a demanding eight month old! So I told my husband to go for an inspection and put in an application for this apartment. He reported back over the phone that the apartment was neat and cosy and yes, there was a nice shopping centre next door. We leased the apartment for a year and he headed back to Victoria to get us. We decided to drive from Melbourne to Adelaide. A work colleague of my husband’s followed in a pick up truck loaded up with most of our belongings. That road trip was all the more poignant because it prolonged the feeling of leaving Victoria behind for South Australia. If we had chosen to simply fly the brief one and a half hours it takes to cross the border it probably wouldn’t have felt so final. The trip should have taken only eight hours with a short pit stop or two. Instead, given that we had a baby who squalled every time she was hungry, bored, tired or needed a diaper change, it took well over thirteen hours and felt like even longer. As we got to the South Australian border the vegetation began to get much drier and sparser, almost like a desert landscape to us familiar with Victoria’s lush greenery. At the very edge of the two states is a town aptly named Bordertown. It’s like a replica of a dusty remote town from an American western movie. The only motel in town was empty when we walked in at midday and rang the bell. Finally a man emerged from a backroom. He seemed friendly enough in a gruff country town sort of way. We were starving and ordered the highlight of the menu – ham sandwiches and some Coca Colas. The man took ages to return with these. All the while the motel was empty and very quiet. We must have made a strange sight to him, three brown skinned South East Asians with a baby not a common sight in this small town between Victoria and South Australia. “Why is he taking so long?” I asked my husband a little nervously. The motel owner finally returned with the plate of sandwiches and the drinks to our relief. After lunch we got back on the road and drove on to Adelaide. From Bordertown the drive should usually have taken around three hours. But given that we had an active eight-month-old baby with us, frequent stops for playtime, feeding and diaper changing were needed. My baby girl loved her outdoor diaper changes on this road trip. She gurgled happily looking up at the clear blue sky, thrilled to be nappy changed on a roadside park bench! By the time we reached the beautiful Adelaide Hills it was nightfall and we were all exhausted. One of my favourite memories of arriving in Adelaide is the historic and beautiful German town of Hahndorf that we drove through just before driving down into the city itself. It looked like something out of a European postcard with quaint and well preserved thatched roofs and elegant stone architecture. The descent down from the Adelaide Hills is quite spectacular because of how this city sits nestled between rolling hills and the ocean. While Sydney and Melbourne are the more cosmopolitan and flashy eastern Australian cities, Adelaide has a unique charm that only locals understand. It’s the perfect blend of country town ambience and city comforts. I didn’t know this at the time but it’s something I’ve come to realize over the eight years that I have now lived here. The keys to our apartment would only be available the next day so we stayed with a Sri Lankan family friend of my husband’s for the night. The family had three young children including six-month-old twin boys. So with our baby, that made a house full of four children under five years. Unsurprisingly, it was a night of sporadic rest interrupted by bottle feeds, toilet visits and a dawn wake up by our friend’s three-year-old daughter! The next day we drove to our apartment in what we now realized was the trendy east Adelaide suburb of Burnside. Our flat was on the top floor and had a fabulous view of the hills in the distance from the floor length windows in the living room. The shopping centre next door was a pleasant bonus but over the next few days I discovered that there was also a delicious chocolate shop called Bracegirdles, a boutique cupcake shop, a beautiful French homewares shop and best of all, the well-stocked Burnside library just five minutes walk away. Over the next two years I would spend more time in this library than anywhere else in the neighbourhood. Being the bookworm that I am it was a haven for me; a place to escape with my young baby daughter for afternoon reading and baby playgroups as well. Through the library playgroup, I made my first friends in town. With babies in tow we’d head to the shopping centre next door for long lunches after playgroup. Now, eight years on, most of us are back to our busy working lives. One friend is a schoolteacher, another is an architectural drafter and I’m a university tutor and writer. Some chose to remain stay-at-home mums rather than head back into the workforce. I always wonder what makes some of us women want to return to work in some capacity after having babies while others are quite happy to remain at home. For me returning to work part-time after my daughter became a year old was a need. I missed my baby terribly for the two days that I worked but the mental stimulation I gained from tutoring at a university was invaluable. I don’t yet feel the need to return to fulltime work, as I love spending time with my young children too. Part-time work is the perfect balance. Now we also have a five-year-old son born here in Adelaide in 2010 and we live in an old house at the foothills of the beautiful Adelaide Hills. This city has grown on us over time. Will we live here always? Who knows. Now and then I get restless for new places and experiences but for now this is home. That is until the next journey calls. This story was originally published in 2015 as an e-book available on Amazon. It has been edited and revised for this submission.